Julian F. Keith Alcohol and Drug Abuse Treatment Center is operated by the North Carolina Alcohol and Drug Abuse Treatment Centers (ADATCs). ADATCs state-operates three centers with Julian F. Keith being one of them. It provides inpatient programs, psychiatric stabilization, and medical detoxification to individuals suffering from substance abuse and co-occurring behavioral health disorders. The mission at Julian F. Keith Center is to offer high-quality treatment services to clients while preserving their dignity and privacy to help them achieve freedom from addiction and psychiatric disorders. It is the center’s responsibility to safeguard and protect the rights of patients while they are in treatment at the facility. The center offers medical services, psychological services, and nursing services to patients 24 hours a day. The center utilizes state-of-the-art therapies and treatment modalities to provide healing and recovery to patients. The center also offers family services including couple counseling if clients want to participate in them. Julian F. Keith Center provides Acute Rehabilitation Inpatient Treatment Services and Acute Care Unit for patients with substance abuse and co-occurring disorders. The programs accept voluntary as well as involuntary admissions. Referrals from emergency departments, facility crisis programs, and other programs in conjunction with judicial commitment are also accepted. Julian F. Keith Treatment Center is located in the small town of Black Mountain in Buncombe County, North Carolina. 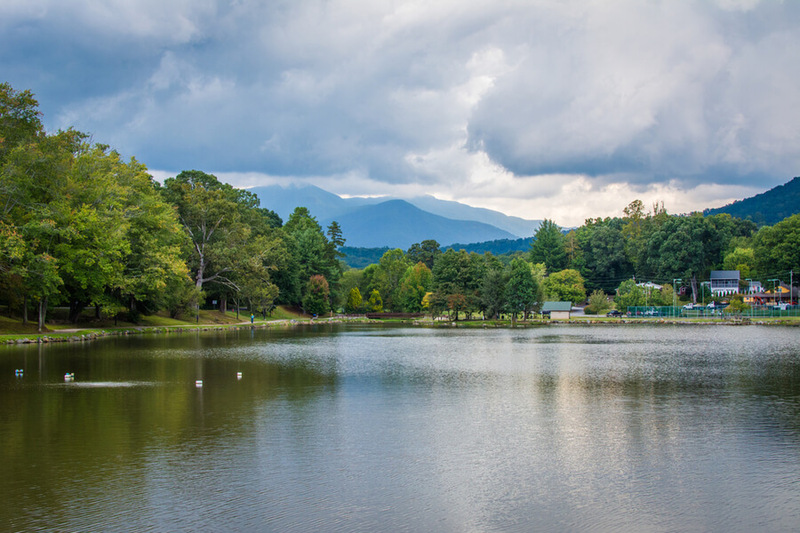 The campus is nestled between the beautiful landscapes of the Blue Ridge Mountains that offer a peaceful, serene, and private environment to clients. The center is built as a modern facility with separate units designated for treatment programs and lodging areas for men and women. The center can accommodate 30 patients in the acute care unit and 38 patients in the rehabilitation inpatient program. The patients stay in gender-segregated rooms with two patients sharing one room. Rooms are simple and furnished with twin beds or bunk beds, desk space, and shared closets. There are common rooms with TVs where residents can relax in the cozy, warm, and comfortable environment. Various opportunities for recreational activities are provided to clients. These include sports activities, arts, crafts, physical fitness activities, walks on trails, and other leisure activities. These activities help clients in their journey to recovery. There are in-house chefs who prepare meals for residents three times a day. Meals are nutritious and tasty and prepared while keeping in view different dietary specifications of residents. Meals are served in the cafeteria and eaten in the adjoining dining area. Julian F. Keith Treatment Center offers treatment services to adults for alcohol and substance abuse as well as co-occurring mental health disorders. The center creates individualized treatment plans for each client based on certain factors. The cost of treatment is different for each client depending on the individualized treatment plan and the financial situation of each one. The center charges a sliding scale cost based on the client’s ability to pay. It also accepts insurance plans of various companies. The admissions office can provide all relevant financial information to clients and families and assists them in finding the most affordable treatment option. Julian F. Keith Alcohol and Drug Abuse Treatment Center is a state-operated nonprofit organization that provides comprehensive treatment services for substance abuse and psychiatric disorders. The center strives to make treatment affordable and reachable to all. Through their sliding scale costs, clients of all backgrounds can access their treatment services irrespective of their ability to pay. The center provides inpatient, outpatient, and detoxification services in a private and secure environment. All clients are treated with respect and dignity during treatment. They are educated about addiction and taught life skills and coping skills so that they are able to join society as healthy and productive individuals. The center empowers them to use their inner resilience to fight off an urge to indulge in destructive behaviors after leaving the facility. This helps them in preventing relapse and achieving sustained recovery throughout their lives. Susan has a Bachelor of Arts from Hamilton College and a Master of Arts in early childhood education from Concordia University, St. Paul. She has over 25 years of experience in early childhood development and learning industry. She has served as the founding Executive Director for the North Carolina Early Childhood Foundation and as Deputy Director for Child Care Services Association. Mark has a Bachelor’s degree from the University of Mount Olive. He has extensive experience serving at leadership positions such as Deputy Director and Director of the state’s Medicaid and SCHIP programs. His responsibilities at the center include supervising the divisions of public health and vocational rehabilitation services. Tara has a Bachelor of Science in Speech-Language and Auditory Pathology from East Carolina University, Greenville, NC. She has a Master of Science in Rehabilitation Studies from Virginia Commonwealth University, Richmond. She has a vast experience working as a Rehabilitation Counselor, Unit Manager, Facility Director, Assistant Regional Director, and Regional Director.